Dubreq has announced the latest in their reinvented Stylophone range. The Stylophone GEN R-8 boasts a fully analogue signal path, dual VCOs, British filter, 19 patch points, sequencer and the all-important touch keyboard. Is it enough to finally put Rolf Harris behind them? I have an original Stylophone, it’s fun for about 3 minutes. I was really interested in the Stylophone 2 but never really got the hang of what it was trying to be for a price 10 times that of the original. 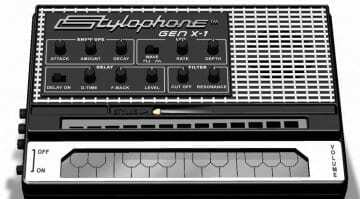 The re-jigged Stylophone GEN-X1, staying close to their roots seemed to be much more like it. 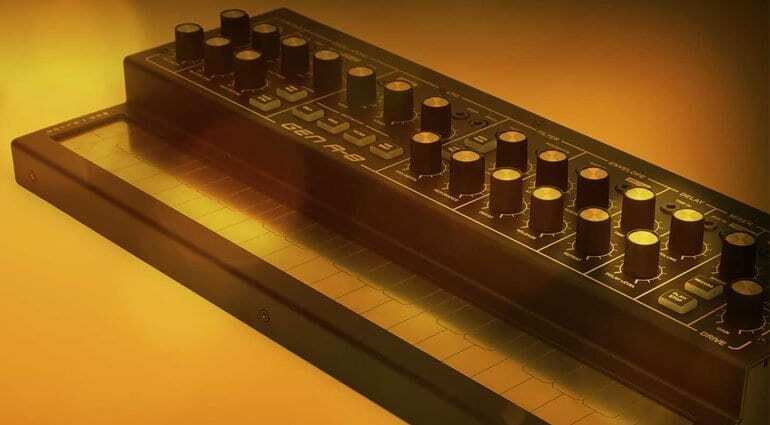 But could the GEN R-8 be the one that takes Dubreq forward as a serious maker of interesting synthesizers? I hope so! The GEN R-8 is designed and built in Britain so we’ll still be able to get hold of them post-Brexit. The dual VCOs offer square and sawtooth with PWM on oscillator 1. There’s a sub and a “subsub” oscillator to get some serious bass going. 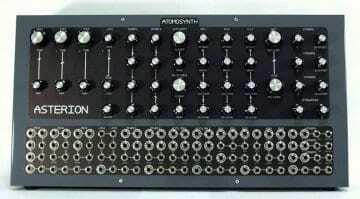 The 12dB filter has low, high, band and notch modes and is based on a “unique British design”. They say the envelope is fast and punchy and that the LFO has 8 waveforms with sample & hold and a one-shot feature. There’s a drive knob for boost and fatness and a grungy delay with a modulation CV input. 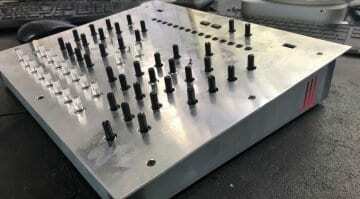 There’s a 16-step sequencer with 8 banks of patterns that can be switched on-the-fly. 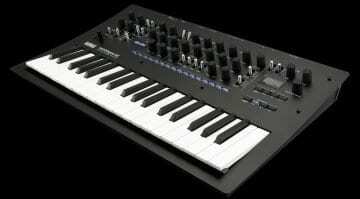 And of course you’ll need a touch plate keyboard, this one is 3 octaves and in fact, the whole thing is unexpectedly big and chunky. The 19 patch points are certainly interesting and on-trend making it able to hold it’s own and integrate with a desktop full of synths. It has a good look going on with those vintage knobs and a steel enclosure. And the sounds coming out of the video, particularly in the second half are really quite exciting. I really hope this finds its place in the bubbly desktop synth market – good job Dubreq. Here’s a good walkthrough of all the features from the show. The GEN-R8 is available for preorder in limited numbers for £299 which seems right for what’s on offer here.